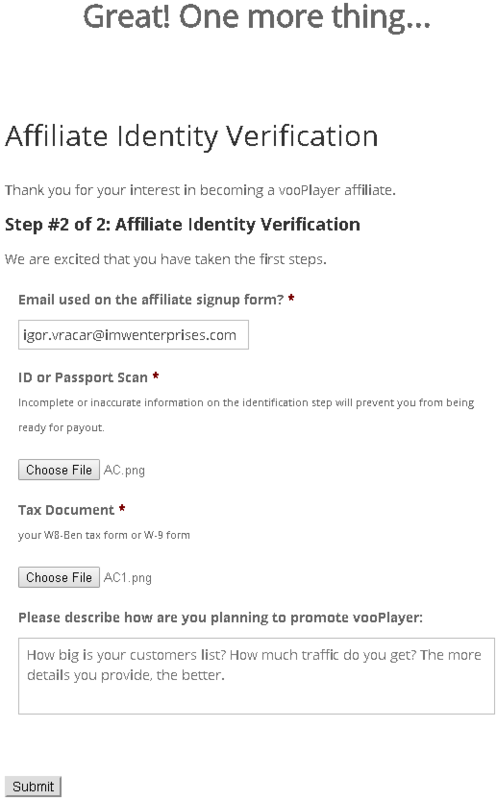 The VooPlayer Affiliate program is free to join and offers a great way to use our killer app and make commissions all at the same time! 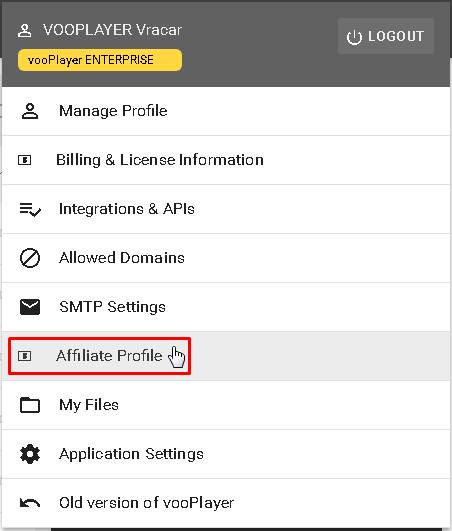 What Is The vooPlayer Affiliate Program? When you join the vooPlayer Affiliate program, you can promote the web’s coolest video player app with reliable recurring commission payouts. Your chosen method of promoting these offers is left for you to decide. The easiest and quickest way is by simply enabling the vooPlayer widget/logo on your videos. Of course, you are welcome to use your affiliate link separately in writing reviews, video reviews, or by spreading the word to your subscriber lists. Our cutting edge technology will track your sales and ensure that making money by promoting vooPlayer couldn’t be easier! Our normal pricing is $397/year or $47/month, so you will get 30% recurring commissions every time you refer someone to one of those packages. Please keep in mind we do run special offers from time to time, so your referrals may get different pricing than that. You can sign up for the affiliate program by going to the section Affiliate Profile from your account settings (small wrench icon next to your username). 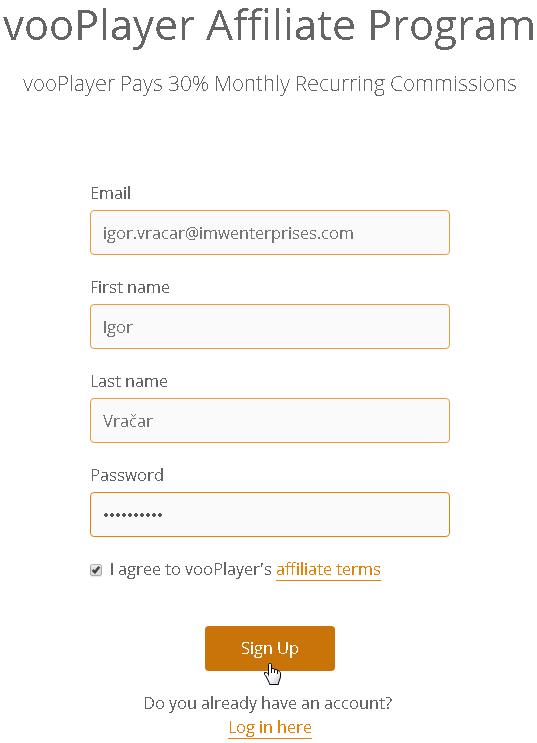 If you are not a vooPlayer user, you can join our affiliate program here. It may take up to 3 working days for our team to approve your request. You must have a balance of $200 or more to get paid. We pay out via PayPal 60 days after the payment period. Payment periods end on the last day of every month. For example, if you have earned over $200 in commissions for sales made up until Oct. 31, then you will be paid that balance by Jan 1. If your commission does not meet the $200 threshold at the end of any payment period, it will be carried over to the next period. 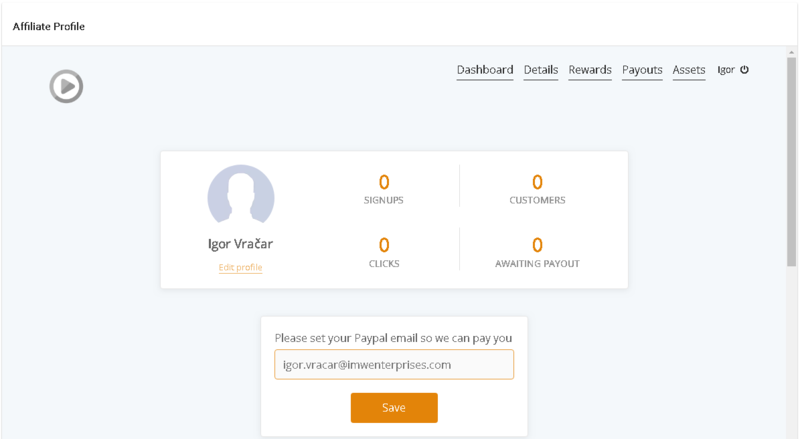 All affiliate payments are made via PayPal. You can contact our dedicated support team by opening a new ticket when you are logged into your Affiliate account. Please allow the team up to 2 business days to respond to your inquiry during busy periods.